Profit from certified safety to DIN EN ISO 9001. Our continuous quality monitoring throughout all phases of the production process is documented in some twenty system approvals from acceptance bodies and classification societies like Det Norske Veritas, Lloyd's Register Quality Assurance, German Lloyd, SELO (China), CCS (China), the Korean Register, the Russian Maritime Register of Shipping, Rostechnadzor (Russia) and many more. Quality manufacturing by ARI also benefits you in other ways: you profit from products that were designed using the latest generation of tools, e.g. finite elements, flow simulations, fire safe tests, characteristic measurements and contact angle calculations. They were tested under the toughest possible conditions using our in-house experimental facilities. Maximum precision is also a key priority in all our production processes. Powerful machining centres, automated assembly cells, programmable assembly robots and a highly qualified team of staff are vital prerequisites of top-quality product solutions specially tailored to your individual requirements. Manufacturing inspections using three-dimensional measuring systems ensure absolutely reliable production processes. Quality made by ARI – your key to maximum reliability, durability and guaranteed safety. 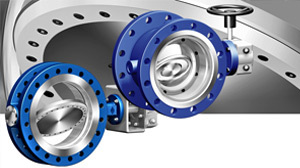 Every ZETRIX process valve is leak-tested according to DIN EN 12266. The test pressures and times are stored on our computer aided test bench. Special tests can also be performed at the customer’s request.